2. 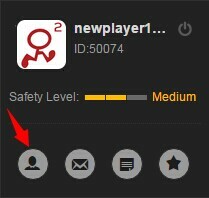 Click the "Account" button under your avatar. 3. You will see an option to change your password towards the top of the page. 4. Click on the "Account" tab and you will be able to change your password. 5. After inputting your old and new password, click save. Resetting your password if you've forgotten your information. 1. Go to http://www.r2games.com/user/retakepassword and enter the email that is bound to your account. 2. R2Games will send you an email with a link to help you reset your password. This link will only works for 72 hours. 3. Click the link in the reset email and follow the instructions to enter a new password. 4. 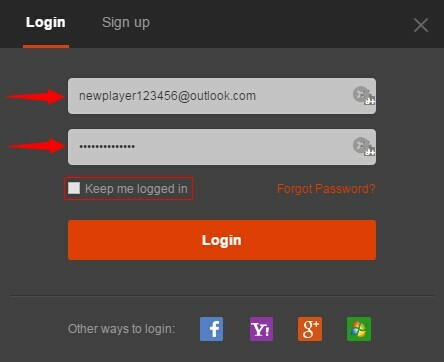 Once you have successfully changed your password, this will be used for logging in along with your email address. Usually this means that it went into your "spam" folder. If you checked there and can't find the email, your provider may have our domain blocked. If this is the case, please try another email address. If none of your email accounts are receiving the confirmation email when binding your email address, you can contact Player Support to ask for assistance. R2Games takes account security very seriously, and as such we will not process requests for password changes unless you have attempted to reset your password yourself.